^ Yeah, that’s me! 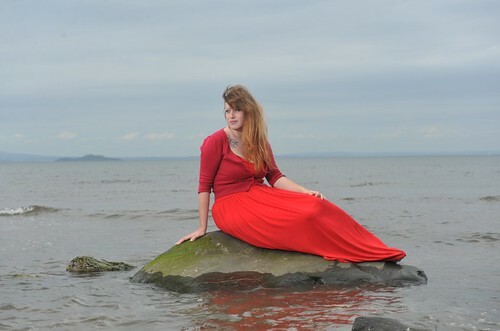 From a photoshoot for the Herald Newspaper, photo by Julie Howden! I am so excited to have poetry featured in The Dark Horse once again, and this time in the sure-to-be-amazing 20th Anniversary issue! I’ll be reading alongside literary GIANTS Alasdair Gray (yes, really), Douglas Dunn (OMG) and Vicki Feaver (I am not worthy) at the Edinburgh launch. UPDATE: sorry, it’s now SOLD OUT! UPDATE: After a bit of a last-minute diary reshuffle, I am no longer reading at 10Red June, but 10Red July! My feelings about 10Red, below, have of course not changed in the slightest! I am always happy to be invited to read at 10Red, one of Edinburgh’s most reliably excellent live literature nights. I don’t yet know who else is on the bill, but please do come along to see me, and doubtless 9 other bloody excellent people. There’s also the increasingly famous mega book raffle, and entry is a very reasonable three quid. Remember the brilliant science fiction anthology Where Rockets Burn Through: Contemporary Science Fiction Poems from the UK? I had a couple of silly poems in it, and wrote about the launch here? Well, the editor of that publication, the esteemed Dr Russell Jones, has set up his own science fiction journal, Shoreline Of Infinity, and is holding a summer shindig to introduce it to the world! I’ll be reading at it, alongside Ryan Van Winkle, and probably Russell himself, as well as some other fine folks TBC. More information when I get it, but for now, put the date in your diaries! This is all very TBC… I can’t tell you yet which women writers are going to be involved but, like anything that’s part of Just Festival, it’s going to be good. And I am going to be chairing it! Make sure you reserve this particular Thursday afternoon because you’ll want to be at this event, I promise! My appearances at these events were in part made possible by Creative Scotland’s Open Project Fund, who have allocated a small grant to allow me to develop my work during the period January 2015 to February 2016. Thank you, Creative Scotland! This entry was posted on Monday, June 1st, 2015 at 9:00 am	and is filed under Participate!. You can follow any responses to this entry through the RSS 2.0 feed. Both comments and pings are currently closed.